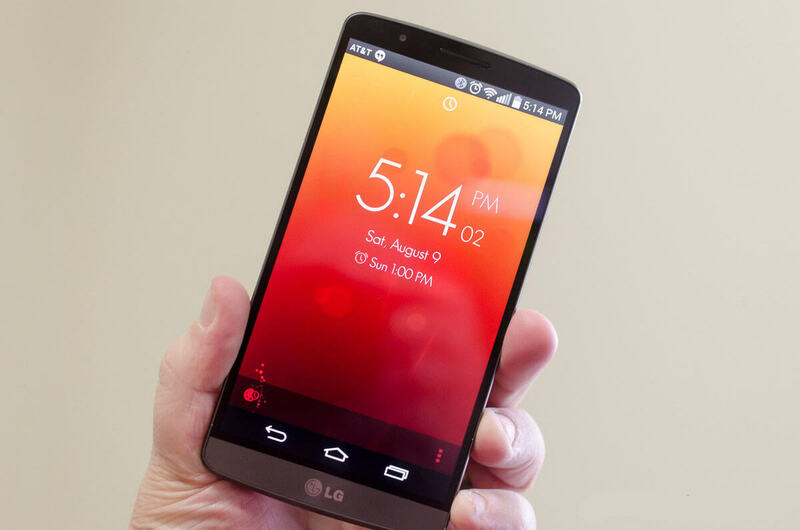 Aren’t the default Alarm apps on your Android phone powerful enough to wake you up in the morning? 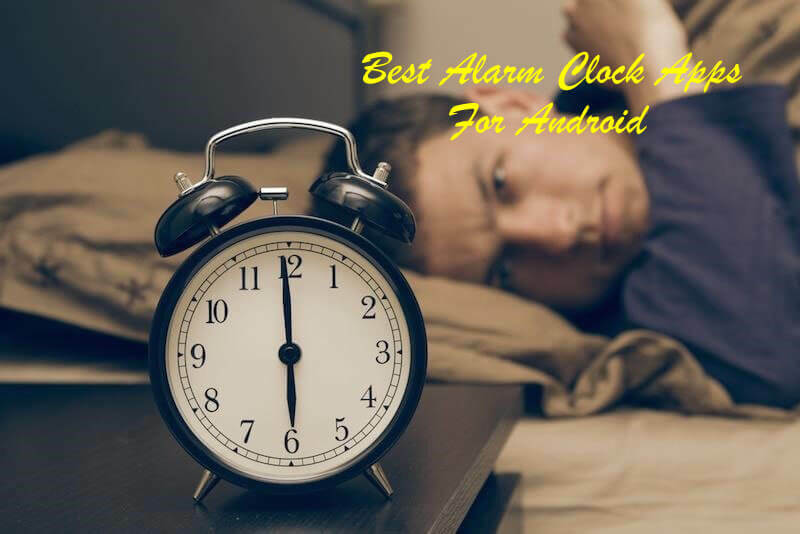 Or,You are looking out for some Great Alarm apps for your android to wake you up at the right time!! Doesn’t matter whether you are a student, homemaker, employee, businessman, professional or Anything! At the End of the day everyone gets exhausted and falls into the Bed as a Defeated Warrior in a hope to get up early the next day.But As you wake up the next morning,you see that you’re already late as your default alarm app didn’t do its work properly or we can say it wasn’t loud enough to wake you up.And then your whole day goes in frustration and as the evening comes ,the Loop continues. Even Though there are hundreds of apps present on google play store as you search for the word “Alarm” . But Do you have the time to go through and test each of them and decide which one fits the Best for you?? These Applications will help you rest well.Although some of the apps are Free and some aren’t.But I promise that all of them are worth of it . Crescendo-Set morning alarm to slowly increase in volume ans wake up gently. Extra Large Snooze Buttons to prevent from Snoozing. Auto-snooze,Auto-dismiss,Set a maximum number of snoozes. Nap alarm with countdown timer. Maths problem solving to snooze/disable. 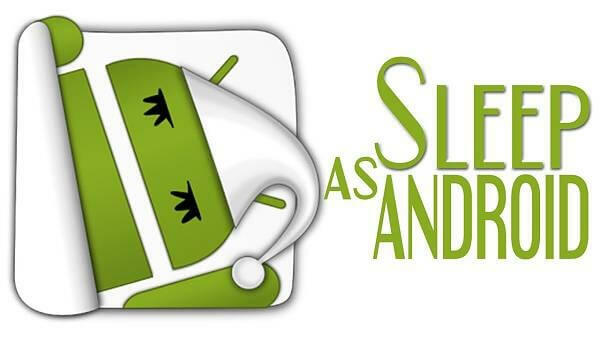 Note: Sleep timer is available only for Android 4.3 and newer. Alarm never turns off until you finish the game. Noisy alarms,Quiet alarms,Game alarms,Video alarms,Voice alarms,Idol band alarms available. Celebrity and Idol band alarms. Weather broadcast alarm which lets you know today’s weather. Record alarm history to keep in track of wake up & Sleep Habits. Features “Photomode”- Get out of bed & take a picture of registered place to turn off the alarm. Shake Mode-Shake your phone to turn off the alarm. 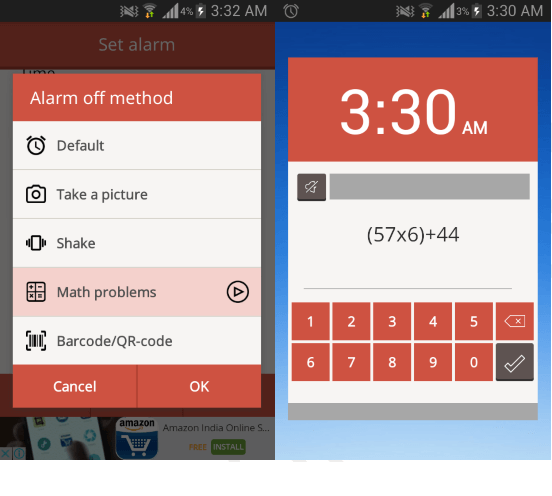 Math problem Mode-Solve maths problem to turn Alarm off. You have to set it up by registering a photo of an area or room in your house.Once the Alarm us set,the ONLY way to stop it ringing is to get out of bed and go take a photo of the registered area. Quoted as World’s Most Annoying Alarm by Gizmodo, CNET & Huffington Post . 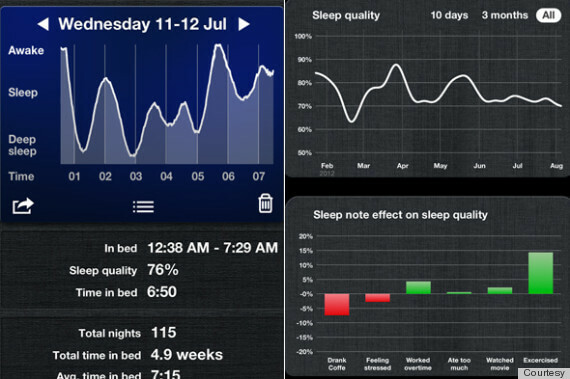 This App provides Night stats,and notifies if we have to change our sleeping habits. 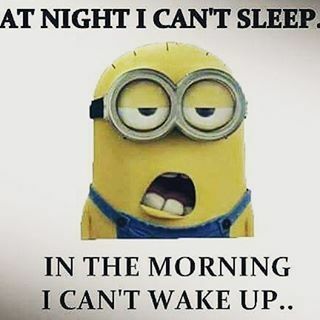 Intelligent wake up: Place the alarm clock near your body,it monitors the signals from the body and wake you up gently when you are in the lightest phase of sleep. Create your own playlist of Ringtones. Nightstand mode- If you don’t want the app to monitor body signals,just use it as a bedside clock in this mode. Weather mode: This app also notifies you of the upcoming weather conditions to plan your dat smoothly. Awake Test: Tests for 5 minutes after turning off the alarm.If uou fail this test,the alarm will be started again. Many music sounds- Ringtones, playlists , podcasts etc. Wake up Tasks-Maths, Memory, Order, Repeat, Barcode, Rewrite, Shake, Match etc. This app is only available in English. NOTE: Sony xperia & Xiaomi users must add this app to the white-list in Battery Saver Mode..
Sleep cycle tracking with smart wake up uses your phone’s or wearable sensors. Google Fit, S Health integration. Spotify integration or online radio alarms or lullabies. Manage, dismiss and snooze alarms on all your devices at once. Cloud synchronization enables a seamless experience across phones and tablets. 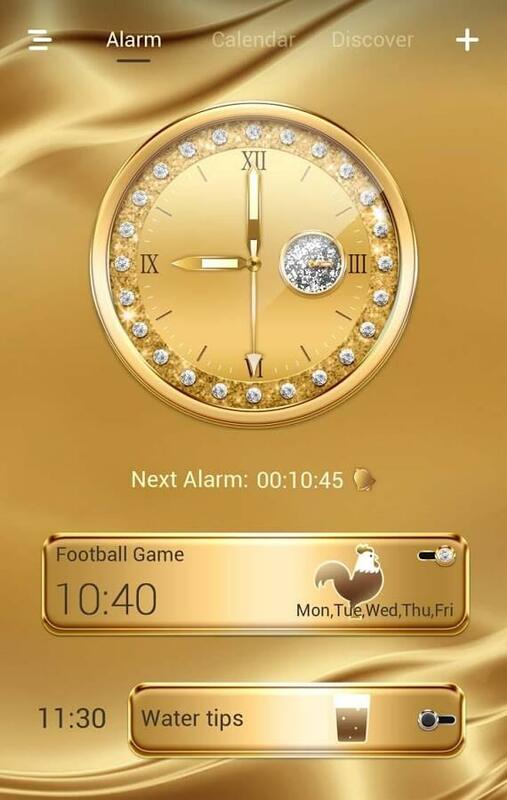 Clock widgets: 4 stylish clock widgets including analog dial and digital clock available. Calendar Alarm：Manage your schedules, special days such as birthdays/anniversaries/credit card payment dates and to-dos. 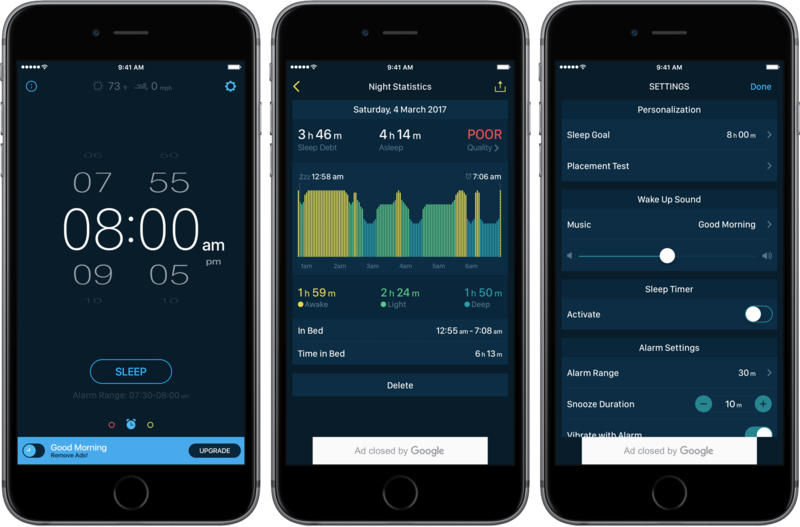 Health Alarm：Health reminders according to expert advice, helping you to create scientific timetable for meals, work, and rest. Sleep notes – see how events such as drinking coffee, eating too much or having a stressful day affect your sleep quality. Wake up with a smart gentle alarm and start your day with your favorite song along with real-time weather information. So,These’re some of the wackiest alarm clock apps for android.Maybe they can annoy you but they’ll definitely help wake you up! 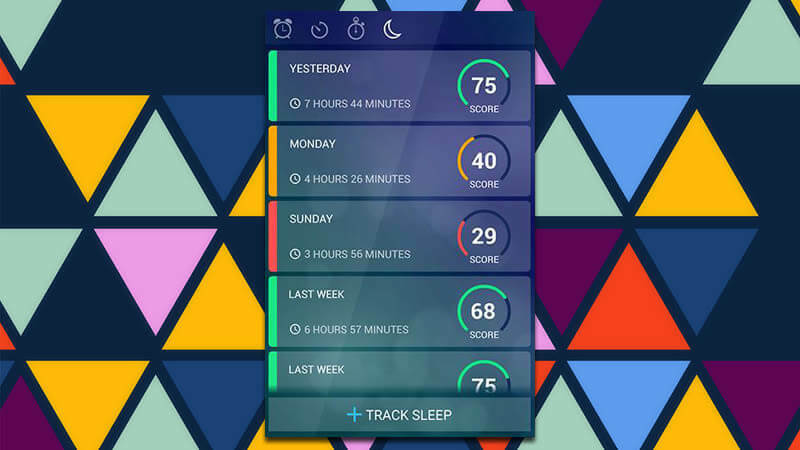 If you really have a hard time waking up early in the morning,just start using any of these alarm apps for your phone and see the results yourself. 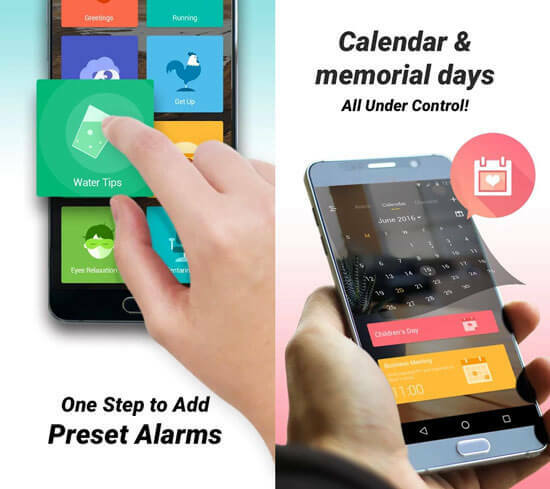 So,which Alarm Apps do you use?? Are there any useful ones that we’ve left? 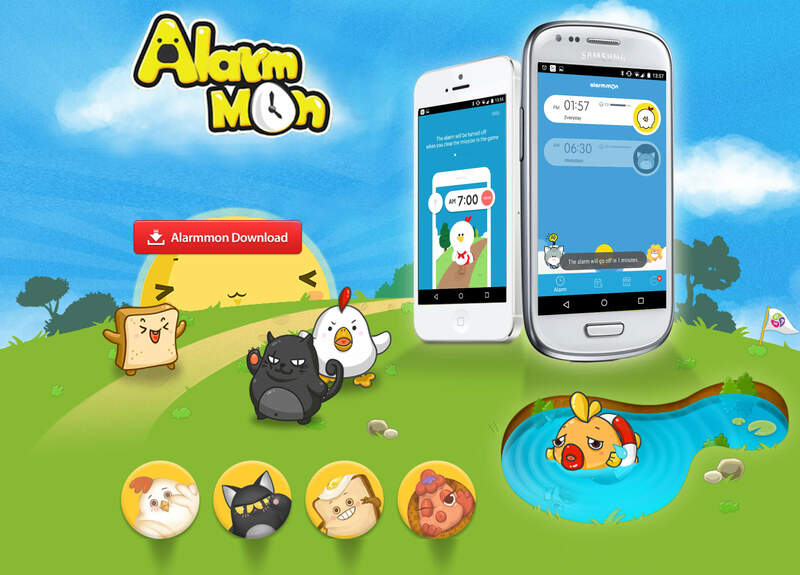 Also Share these awesome Alarm Apps with Your friends who are going through the same dilemma. How to use psiphon to stay secure while browsing internet from anywhere. Use Freedom App to bypass In-App Purchases in Android Devices.